Bestow on us, we pray, O Lord, a spirit of always pondering on what is right and of hastening to carry it out, and, since without you we cannot exist, may we be enabled to live according to your will. Through our Lord Jesus Christ, your Son, who lives and reigns with you in the unity of the Holy Spirit, one God, for ever and ever. Help us to be eager in doing your will. 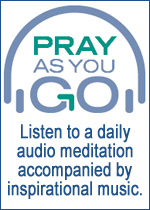 In today’s lesson we learn more about prayer. We are touched by the bold, full-hearted prayer of Esther. We hear with a freshness how sincerely Jesus invites us to: ask and receive seek and find knock and find the door opened. Dependence is not a virtue we ordinarily admire. Today we grow in our sense that we need God’s grace very much – even to know what is right – but certainly to fan our desires into a flame. Lord, I’m not always eager to do your will. I’d often much rather do my own will. 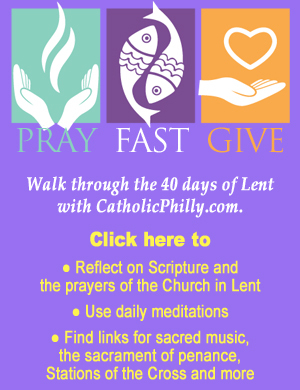 Please be with me on this Lenten journey and help me to remember that your own spirit can guide me in the right direction. I want to “fix” my weaknesses but the task seems overwhelming. But I know that with your help, anything can be done. With a grateful heart, I acknowledge your love and know that without you, I can do nothing.